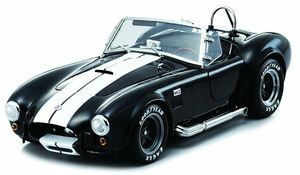 Kyosho Shelby Cobra 427S/C “Black with White Stripe and Chrome Pipe” Diecast Car Model. Beautifully recreated in 1:18 scale with elegant and authentic interior. This entry was posted in Airplane Models, Diecast Airplane Models, Diecast Car Models, diecast cars, Diecast Construction Models, Hobbies and Toys, NASA Spacecraft Models, Ship Models, Submarine Models, toys and tagged century wings diecast airplane models, Collectibles, desktop models mahogany models, diecast model airplanes, Hobbies and Toys, military models, model airplanes, replica cars. Bookmark the permalink.